I had been struggling with a sore throat and fatigue all week, and last Thursday I needed to have a day in bed. I hoped that I would recover speedily in time for a packed weekend with my four year old son: library trip (of course); pre-school friend’s birthday party; family christening and party on the sunday. Two days before this I had decided to take the plunge after much consideration-okay procrastination-and consolidate all my blogs (and there are several!) into this one, which had previously been primarily focused on all things poetry. 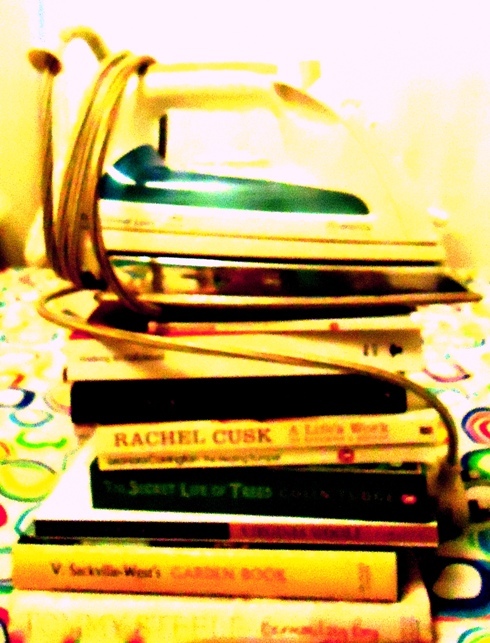 I am currently in the final throes of a degree, three years full-time, in creative writing and journalism, and my book habits are bad enough without needing the excuse of ‘reading lists’ and ‘research.’ It’s been one of the most rewarding experiences I’ve ever had, as well as the hardest slog. Combining full time motherhood (I am a single parent) with full time studying at the age of 40 has been a challenge to say the least but worth every minute. So, books bursting from every nook and cranny of the house, it was time to begin the onerous task of deciding which could stay and which could go. I now have two boxes to go, and more to clear, but taking stock made me think about why I love books so much, where that comes from, and how my tastes and interests have changed over the years. When I woke up I looked at the WordPress ‘dashboard’ and wondered if there was some sort of glitch, or problem with my computer. I looked again and actually rubbed my eyes in disbelief, as they tell you people do in stories, I actually did. My page had received 600 hits in the time I had had my nap! There was a queue of lovely comments from people congratulating me on being ‘FP’ and ‘Freshly Pressed’ and telling me how much they enjoyed what I had written and that they identified with what I had said. “What on earth is ‘Freshly Pressed’?” I thought to myself, vague bells ringing in my head. I looked at the front page of WordPress and there was my post. I must admit I jumped up and down and cheered. This was very exciting, and completely and utterly unexpected. The hits kept coming and so did the comments. By yesterday morning there were over one hundred comments and nearly 3000 hits on that one post alone, plus a huge rise in people subscribing to my blog. 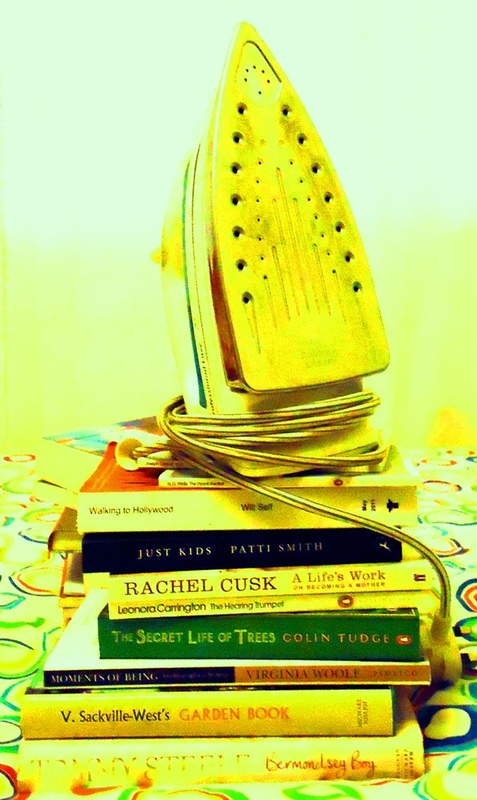 It has been quite overwhelming and at the same time very heartwarming and wonderful that so many people have taken the time to read my post, and who feel the way I do about books and reading. I am very grateful for such a positive experience. 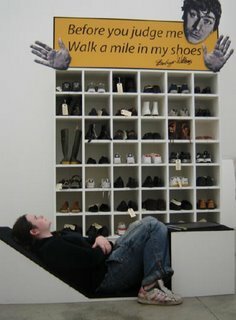 I started blogging i n 2006, when I had a radio show on Resonance FM, The Shoe Show, a thirteen-part, weekly, fifteen minute programme about shoes. Yes, really. The blog accompanying the radio show covered the last few shows and a few other footwear-related posts after it finished airing.The other LucyFurLeaps blog, which I have now officially ended, was born when I knew I was going back to university to study creative writing . 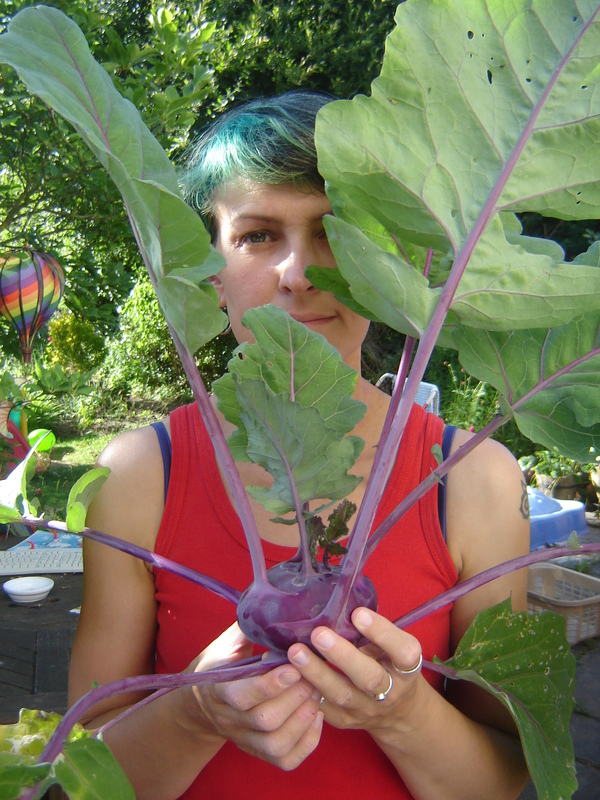 I also had a gardening blog, Roar! Earth, which charted clearing the end of my garden and setting up a vegetable patch. After five years of blogging, and the difficult decision to invest all my energies into one blog, I am very glad I chose this one. I am taking it as a good omen and would like to say thank you to all the people who have been so kind and encouraging about my writing. Congratulations! @Blogger – I want to be Bloggered. Awww that is so sweet, and completely amazing! I worked full time and went to school for many years, and have an immense respect for mothers and fathers who are able to do it, too. What an accomplishment it will be when you finish! Good luck cleaning out the books! I went through several boxes the other night (still “unpacking” my apartment but really, they ended up in the storage closet), and was able to extract one whole box’s worth that will be donated. Felt pretty good, but I have a lot more work ahead of me on that front!